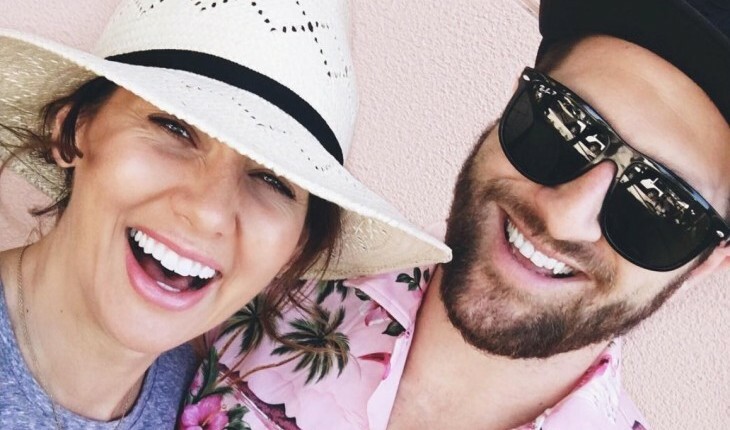 In March 2016, the former 'Bachelorette' and HGTV host broke her celebrity baby news when she posted a photo of her baby bump next to smiling boyfriend Justin Pasutto with the exclamatory headline, “WE ARE PREGNANT!! !” Photo courtesy of Instagram. Celebrity couple Catherine Giudici and Sean Lowe discussed their insecurities on Marriage Boot Camp: Reality Stars. According to UsMagazine.com, Giudici spoke about how uncomfortable she is with her body. This celebrity news caused a riff in her celebrity relationship because she doesn’t want to take beach vacations with her husband. The couple married in January 2014. This celebrity news resonates with a lot of us. What are some ways to reassure your partner in the face of insecurities? We can all claim to experience relationship problems similar to celebrity couples for sure. In latest celebrity news, celebrity couple Sean Lowe and Catherine Giudici’s relationship is making progress on Marriage Boot Camp with the assistance of celebrity judge Lynn Toler, according to UsMagazine.com. Lowe even admits to Toler that he has trouble being compassionate even when he’s really trying. This pair is continuing to work on their issues, even as they prepare to welcome their first celebrity baby to the world. This celebrity couple has their issues, just like everyone else. What are some ways talking to a third party can help your relationship? …Something you can relate to? Click here for more! Love is in the air! After all, cuddles are huge this time of year. The latest in celebrity news is that celebrity couple Sean Lowe and Catherine Giudici are expecting their first celebrity baby! UsMagazine.com shares that Lowe tweeted the news on December 8th, sharing the joy of their celebrity pregnancy. We’ve been waiting for this celebrity pregnancy announcement! What are some unique ways to share your baby news with your loved ones? …Click here for cute baby announcement ideas! In the latest celebrity news, celebrity couple Sean Lowe and Catherine Giudici have joined the latest cast of Marriage Boot Camp. The pair is taking the step to make things better in their relationship! According to People.com, they do not always agree on everything and this is evident in the exclusive sneak peek of the series. Fans of The Bachelor fell in love with Sean and Catherine, and now they will get to see them work through their issues to make things better for themselves! This celebrity couple has their share of problems. What are some things to try if you find yourself fighting with your partner a lot? The latest celebrity news is that two women, Katilyn Bristowe and Britt Nilsson, will be on the upcoming season of The Bachelorette. This announcement has left a lot of people puzzled and some even angry. According to UsMagazine.com, famous couple Sean Lowe and Catherine Giudici, who met on season 17 of The Bachelor, are not happy about this change. Lowe wrote on his personal blog that this decision is “downright degrading for the women” because it “transfers the power back to the men on the show specifically designed for the women.” He feels that the contestants on The Bachelorette shouldn’t be given the authority to choose which woman will stay and which will go. Sean Lowe is against shifting the power back to the men on The Bachelorette. What are some ways that couples can have equal say in their relationship? It’s every Bachelor couple’s fairytale to walk down the aisle after finding true love on ABC’s hit reality TV show. For happy celebrity couple Catherine and Sean Lowe, that fairytale turned into a reality when the couple got hitched in a televised wedding earlier this year. Our executive editor and founder Lori Bizzoco talked to the happy celebrity couple at OK! magazine’s New York Fashion Week celebration to get the scoop on married life, their recent appearance on Bachelor In Paradise, and their celebrity baby plans. …Don’t miss the rest of our exclusive interview! Click here for more. Sean Lowe has taken his love for wife Catherine Giudici, who he met on season 17 of The Bachelor, to a new level. While the famous couple often posts sweet Instagram photos of each other, this time, the Texas native published a blog post on his Patheos page titled “Caught in Her Web.” As reported by UsMagazine.com, he shared how and when he first fell for Giudici as well as the things about her that he loves most, ending with, “So in conclusion, my wife is hot and I’m in love.” After seven months of marriage, the celebrity couple is still very much in the honeymoon stage. Former Bachelor Sean Lowe and winner Catherine Giudici are always expressing their feelings for each other. What are some ways to show your love to your partner? …Don’t miss this great advice! Click here for more. The reason for our culture’s collective obsession with The Bachelor franchise is obvious. What single, soul mate-seeking dater wouldn’t dream of being presented with 25 gorgeous single men or women and a period of 6 weeks to strategically whittle down that group to a proposal at the end? The all-expenses-paid fairytale dates, exotic destinations, and expensive sports cars probably don’t hurt either. The conducive environment of ‘The Bachelor’ makes finding relationships and love seem like a breeze. But the real question is, are the happy celebrity couples really as in love as they look? According to People, The Bachelor reality TV stars Sean Lowe and Catherine exchanged celebrity wedding vows on live TV on Sunday. Lowe’s father officiated the ceremony. The couple got engaged in Thailand in November of 2012. ‘The Bachelor’ celebrity couple Sean and Catherine Lowe were able to add some personal flare to their celebrity wedding. What are some unique ways to incorporate your personal style into your big day? Find Out Details About ‘The Bachelor’ Winner Catherine Giudici’s Celebrity Wedding Gown! The final countdown to the celebrity wedding of celebrity couple Sean Lowe and Catherine Giudici from The Bachelor is on! The event will be shown live on ABC in a series first from 8-10 p.m. ET on Sunday, January 26th. The happy celebrity couple first got engaged in Thailand in the 17th season of The Bachelor. The gorgeous duo are only days away from tying the knot and in the meantime have been making their way around New York, sharing their engagement experiences and wedding details with the media and their fans. The big day is coming up quick for this happy celebrity couple and ‘The Bachelor’ fans are dying to know more about this celebrity wedding. 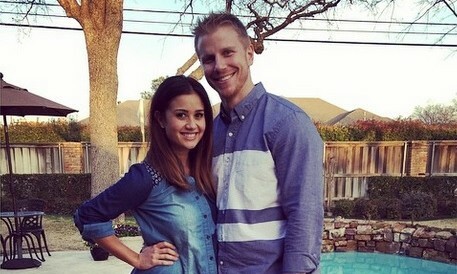 Catherine Giudici and Sean Lowe. Photo courtesy of Sean Lowe's Instragram. We’re invited to view arguably one of the biggest celebrity weddings of the year between reality TV stars Sean Lowe and Catherine Giudici, who we all watched fall in love on the ABC reality television series, The Bachelor. Come join us as we tune in to see the lovebirds say their wedding vows and tie the knot. Didn’t you get the invite? Even though the two are celebrating their commitment in a live, televised wedding ceremony on Sunday, January 26th, they still sent out invites like any other couple. ‘The Bachelor’ celebrity couple Sean Lowe and Catherine Giudici are tying the knot! Were you invited to their celebrity wedding? …Don’t miss the rest! Click here for more wedding details. Reality television stud, and The Bachelor Sean Lowe treated celebrity love Catherine Giudici to a Louis Vuitton purse and a nice dinner for her 27th birthday. “We had a big party with family and friends last night and then tonight we’re just going to go out to a nice dinner and just celebrate a little bit more,” Lowe told UsMagazine. Lowe realized how much Giudici has sacrificed to move out to Los Angeles during his Dancing With the Stars stint and wanted to spoil her a little on her special day. 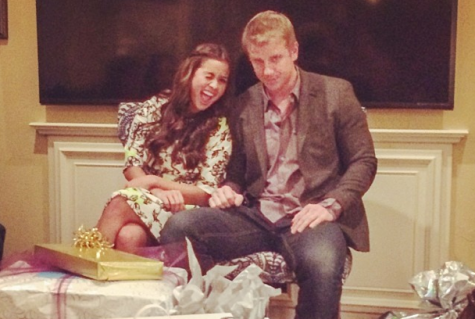 ‘The Bachelor’ Sean Lowe went all out for celebrity love Catherine Giudici’s birthday. How do you make your partner’s birthday special? People reports that The Bachelor star Sean Lowe and celebrity love Catherine Guidici are still going strong despite dating rumors of a troubled celebrity relationship. Lowe, 29, told People, “We are happy and could not be better.” Backstage at Dancing with Stars, Lowe also discusses the dating rumors he has recently encountered. He says, “Nobody knows anything outside of me and Catherine and the people who are closest to us.” The celebrity couple is getting through these hard times together. ‘The Bachelor celebrity couple Sean Lowe and Catherine Giudici have to fight off dating rumors about their relationship and love life. How do you keep unfounded rumors from affecting your relationship? …want to find out more? Click here to read on. 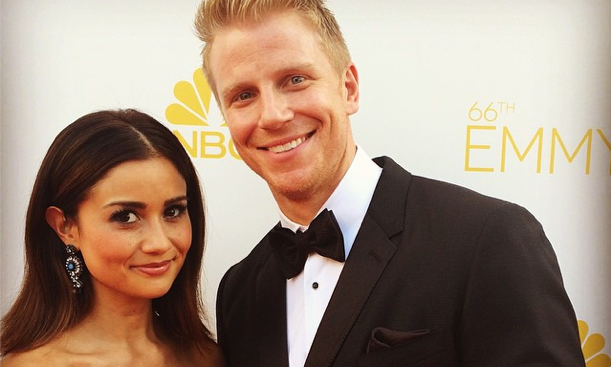 Is ‘The Bachelor’ Sean Lowe & Catherine Giudici’s Celebrity Love Affair in Trouble Already? A source told UsMagazine.com that Seattle native Catherine Guidici has been ‘bored and lonely’ since she moved to L.A for fiancé, Sean Lowe. While celebrity love Lowe attends Dancing With The Stars practices, Guidici typically stays home and watches TV. Her friends are so-and-so with her relationship and love life with Lowe, mostly because she was previously a driven, career woman. Plus, she gave up an Amazon gig to be on The Bachelor. ‘The Bachelor’ winner Catherine Giudici needs some more attention from celebrity love Sean Lowe. What are some ways to keep the spark alive in your relationship and love life after the honeymoon phase? What are some ways to support your partner’s passion? What could be more appealing in today’s slick, fast paced society than to watch a dashingly handsome bachelor who is also pristine make his commitment known to us? It is little wonder that 28-year old Sean Lowe captured the attention and curiosity of so many female viewers. And while the heat was on to see his final choice and we waited with baited breath, it was refreshing to learn about a young, charismatic man who has a traditional attitude toward marriage and family. On March 11th when Catherine won Sean’s heart, it underscored how much values mean in a relationship. Not only were we watching this couple move forward with great anticipation, but this next step also jolted us into thinking about what it takes for a marriage to be successful. Bachelor, Sean Lowe, and bride-to-be, Catherine Guidici announced their plans to say ‘I do’ very very soon! UsMagazine.com reports how Lowe will most likely not be inviting Emily Maynard to their dream wedding. Although he still likes and respects Maynard, he doesn’t think it is appropriate for her to be invited. 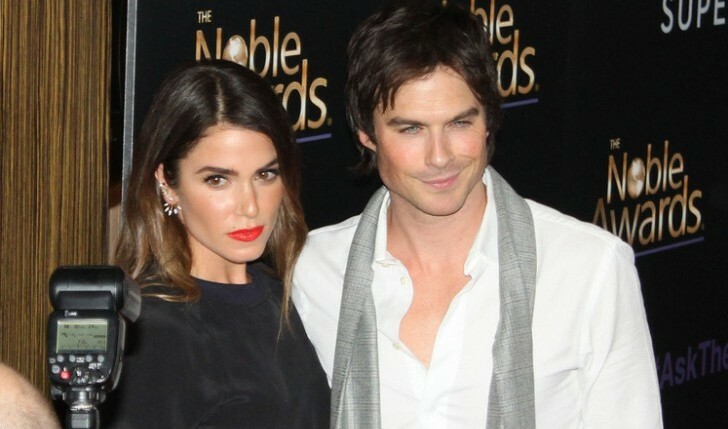 The happy couple stated that they will get married on TV, Hollywood Life reports. The two continue to plan their wedding as they move on with their lives! What are some things to consider about inviting your exes to your wedding? The Bachelor‘s Sean Lowe and Catherine Giudici are excited to finally be public about their love for one another.”I’m just so excited that the secret is out,” says Lowe. After having a romantic proposal in Thailand on national television, Guidici is happy to get the chance to be in a normal relationship with her man. “Now, we can be a normal couple and hold hands in public!” she exclaims. However, as excited as they are to be together at last, People reported that the two are waiting until after they are married to be intimate with one another. “From my perspective, I’ve lived life kind of selfishly for a long time. Now, I’m going to try to live it the way I know to be right.” says Lowe who is a born-again virgin and a conservative Christian. How does Giudici feel about this? “I honor him,” she says. The two will be tying the knot on national television for an ABC special. What are some ways to know your values match with your partner’s?